Rooftops often form the background for whimsical activities, especially those of self-defined artists, bohemians, and other creative folk. This is especially true in film, where the zany characters of Mary Poppins prance from ridge to ridge throughout the movie, and in biographies of artists who are generally described as freezing in Parisian garrets while perishing of consumption. 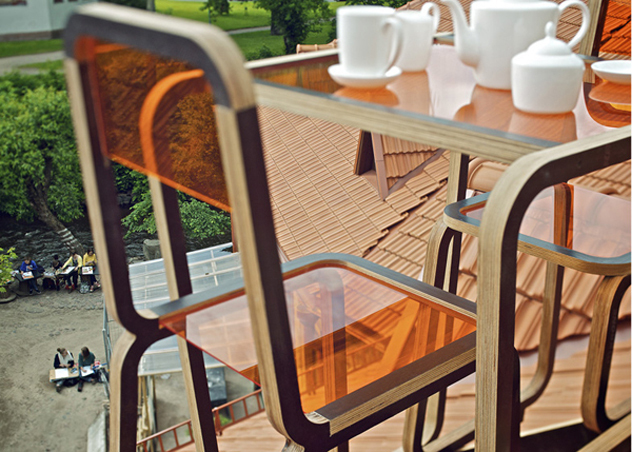 Lithuanian designer Ainė Bunikytė channels this tradition with “Ridged Rooftop Furniture”, her final project for Vilnius Academy of Art. 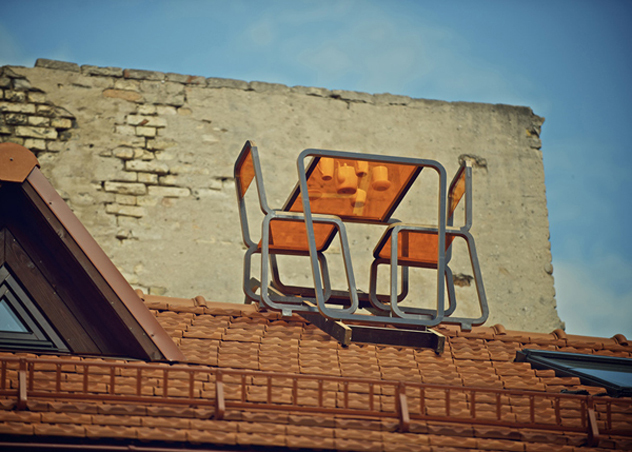 The project consists of a table and chairs perched precariously on the ridge of a roof in the historic center of Lithuania’s capital. 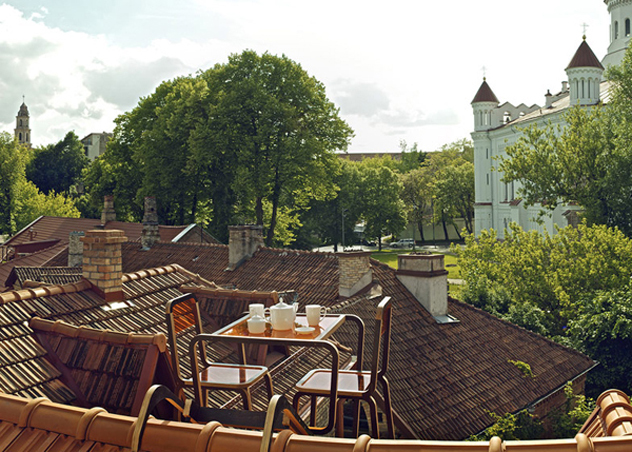 Bunikytė describes it whimsically: “It calls for a sip of tea over the old town while promising a romantic adventure.” But she also describes the rooftop table as a paradox in that it ascribes to a human notion of safety—being up high and able to see incoming threats—while also being inherently unsafe. It is certainly an interesting project, though of course its practicality is at issue: how does it adjust to fit other roofs? How do you actually sit there without falling? Without breaking it? But then, that’s all beside the point.